Tourists, people filming the view above Doubtful Sound. Hall Arm centre. 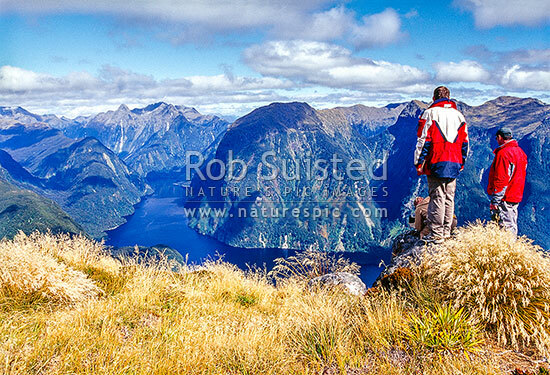 Fiordland National Park, Fiordland National Park, Southland District, Southland Region, New Zealand (NZ), stock photo.